About - Stop Sugar Burning Now! Pre-harvest Burning: Sugarcane growers burn their fields in and around the Everglades Agricultural Area (EAA) each year from October to March and beyond to rid the plant of its outer leaves (referred to as “trash”). This outdated harvesting practice is done to make the harvest and processing of sugarcane quicker and easier. Burning sugarcane emits toxic smoke and produces ash fall which negatively impacts workers in the field and residents in the surrounding communities. Green Harvesting: Green Harvesting is accomplished by using mechanical harvesters to separate the leaves and tops (trash) from the sugar bearing stalk instead of burning them off. 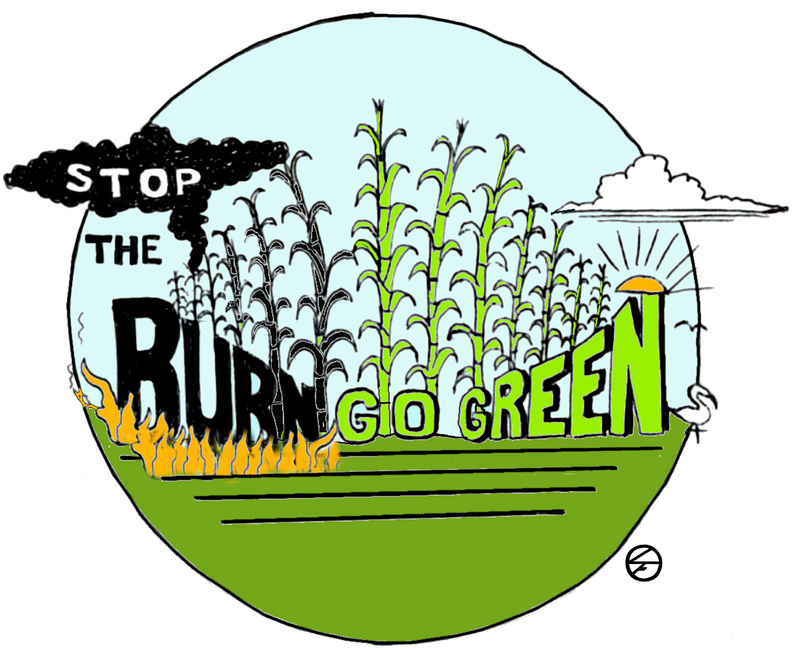 Not only is pre-harvest burning eliminated but the “trash” can be utilized instead of wasted. It is a healthier and more environmentally sustainable method of harvesting. 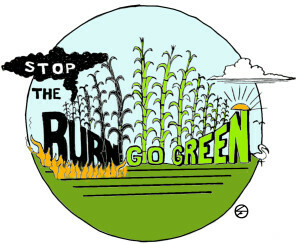 WHY switch from burning to green harvesting? Sugarcane smoke poses significant health threats! Children and the elderly living closest to where fields are burned are most at risk to the adverse health effects from sugarcane burning. Instead of going up in smoke, the trash has value and can help create jobs. The leaves burned off the cane can be used instead to create more bagasse (sugarcane by-product) for energy production (like it is done in Brazil). Brazil (the world’s #1 sugarcane grower) is abandoning pre-harvest burning in favor of green harvesting and has remained profitable! The burning season takes place during the best months to be outdoors. Save us money – no more cleaning up inside and out! Make it safe for our kids to play outdoors during the harvesting season. Attract new urban development opportunities to the Glades. Our safety, our health, our children matter too! Did you know that the burn regulations followed by the sugar growers prevent burning when winds blow toward the more affluent communities in Eastern Palm Beach County? Don’t we all deserve protection? The way to protect us all is green harvesting! Sugar growers can be better neighbors. Farmers and impacted residents can work together to make it happen. Sugar growers have already green harvested in some areas, including near the Clewiston Walmart, and when convenient for grower schedules. The sugar companies make so much money! But what do residents in and around the EAA have to show for it? Did you know that Pahokee, South Bay, and Belle Glade are 3 of the poorest cities in Florida? Changing from pre-harvest burning to green harvesting would be an investment in the health, welfare and economic future of Florida’s sugar country.